Warning: The following songs make me want to strip down naked, burst through the window, free fall 30 floors, face plant on to a parked car, burst into fits of giggles, choke on my own blood, DIE, go to the pearly gates, say “Wha gwaan?” to Jesus, Vishnu, and the whole gang, do our secret handshake, look for Buddha, hi-five him, have him reincarnate me into a frog, meet a princess, kiss her, turn into a prince, order my subject to bring me a computer, listen to these songs again, cry myself to sleep. Repeat in the morning. Ahhhhh, I’m not usually that graphic but bear with me. Seems like there’s something in the air here in Toks. No, I’m not referring to cesium-137, I’m talking about HEARTBREAK. 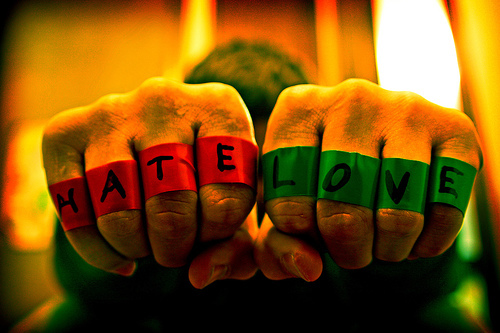 Everyone around me is ever so slightly on edge, and are teetering on that thin line between love and hate. I myself have been getting to the point where I wanted to cut a … (cake?) but am ever so grateful that I can lose myself in these awesome tracks. Apparently time heals all, if only it’d hurry up already. Wanted to post this last week but it was shortly after Typhoon Roke so the title would have been a bit insensitive. Laidback Luke teamed up with Example to produce this gem. I was hooked after hearing the piano intro. ***Side-note: Speaking of Example, is it only me or doesn’t he look (and kinda sound like) Calvin Harris? Wolfgang Gartner just recently debuted his first studio album “Weekend in America” and listening to those tracks make me want do all those colourful things I said earlier, especially when listening to Shrunken Heads. I can’t speak highly enough of him in one paragraph so I’ll save it for a next post.